Local families enjoyed an Easter fun day at Greenhead Moss Community Nature Park on Easter Monday (1 April 2013), which was supported by Scotmid Co-operative. 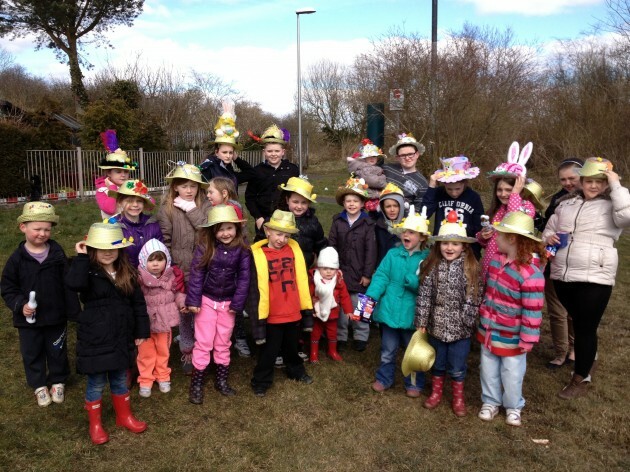 The free community event, organised by Greenhead Moss Community Group, included an Easter bonnet making competition, an Easter egg hunt, a raffle and a tombola. Scotmid Co-operative donated £100 for the family fun day, which Greenhead Moss Community Group used to buy ingredients from Scotmid to give away bags of fresh fruit, soup making kits, and chocolate bunnies for Easter. Led by Carole Ann Foley, the Greenhead Moss Community Group holds a range of events each year for local youngsters and aims to promote health and wellbeing in the area.